ACF-50, Anti-Corrosion Formula, is a state of the art, anti-corrosion/lubricant compound, that has been specifically designed for the Aero Space Industry. Itcan be described as an ultra thin fluid film compound which must be applied on an annual basis. ACF-50 actively penetrates through the corrosion deposits to the base of the cell where it emulsifies and encapsulates the electrolyte, lifting it away from the metal surface. ACF-50 then dispels this moisture and provides an atmospheric barrier which prevents any further moisture contact, thereby keeping the cell inactive. This compound continues to actively penetrate and “creep” into the tightest of seams, lap joints, micro cracks and around rivet heads, dissipating the moisture, even salt water, in these corrosion prone areas. These unique abilities of ACF-50 remain effective for 12 months, gradually disappearing as it is chemically consumed. ACF-50 is designed with the professional aerospace technician in mind. ACF-50 should be used within the guidelines established by the OEM or governing agency for the prevention, control, or repair of corrosion. ACF-50’s active Thin Fluid Film chemistry penetrates corrosion deposits where it chemically emulsifies and displaces the electrolyte. This isolation process keeps the corrosion cell deactivated. On new metal ACF-50 forms a self-healing barrier that prevents corrosion from starting. ACF-50 remains physically and chemically effective for up to two years. It is important to emphasize that ACF-50 is also an excellent lubricant but does NOT contain any wax, resin, silicon or Teflon… compounds that can gum up mechanisms, block drain holes, or trap moisture to cause corrosion. Although ACF-50 is used primarily in the aviation industry it can be used virtually anywhere that corrosion is a problem. Applications such as interior metal surfaces, structural assemblies, micro switches, avionic components, solenoids/motors, battery terminals etc. See the industry sector links on the right for more information. 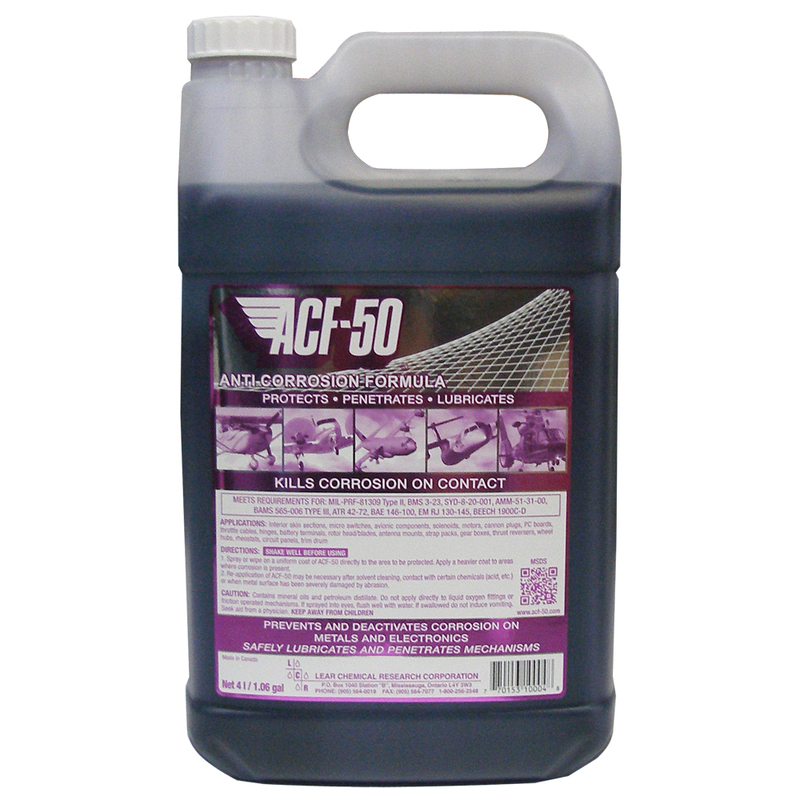 ACF-50 (Anti-Corrosion Formula) was originally designed to protect aircraft from existing and new corrosion and is now available to motorcyclists. Aviation products have to meet rigorously high standards and ACF-50 not only meets these but has been awarded Aviation approvals – MIL-SPEC 81309 types II and III which means it is ‘approved for ferrous and non-ferrous metals, electrical systems and electronic components’. The US Navy carried out tests using ACF-50 on the jets on their Aircraft Carriers. They found that ACF-50 so significantly reduced the corrosion they had previously experienced they now use ACF-50 all the time! 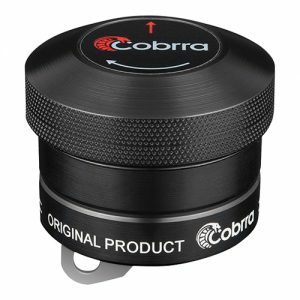 It works perfectly in that type of harsh environment so imagine how well it’s going to protect your bike! When applied ACF-50 forms an ‘Active’ ultra-thin clear film that will kill any existing corrosion cells and will protect your bike against new corrosion forming. 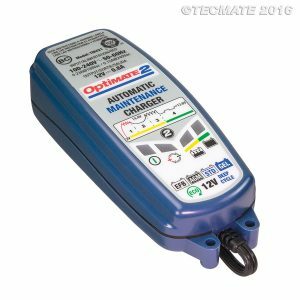 On areas such as switches or under the tank and seat, one application will last up to 12 months. Other more exposed areas will need topping up more regularly. 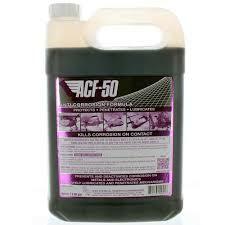 ACF-50 has the ability to ‘chemically neutralise road salt’ and water will bead on contact and literally bounce off. Ideal for the bike that is used all year round in all weathers, a superb service spray as ACF-50 is also a lubricant and penetrant (without loosening structural attachments) and if you put your bike away for the winter, applying ACF-50 will ensure that moisture will not be allowed to cause any damage! Untreated moisture will creep into cracks and will not freely evaporate – ACF-50 actively ejects moisture from these areas. ACF-50 is 95% product, hence virtually no propellant. Keep the tin in a warm environment, shake very well before use and remember a little ACF-50 goes a long way, so keep a rag handy to soak up any excess – then use the rag to help spread the product. ACF-50 has strong capillary action so will creep into all the areas that moisture can, ‘actively’ pushing out moisture and replacing it with protection. Go cautiously when applying to callipers to ENSURE YOU KEEP IT OFF THE BRAKES. Use ACF-50 anywhere, except the brakes, on your bike including the engine and exhaust (will smoke on first start and burn off down pipes but still slows down corrosion process). Safe on paintwork, most rubbers and brings up black plastic trim a treat. ACF-50 contains no water and is approved for electrics so spray directly into electrical joints and components where it will prevent corrosion induced failures and high resistance joints. Works well at stopping dirt, mud and salt from sticking. You can come back from a winter ride with the bike ‘white with salt’ – a quick wash off and it’s gone with the bike still protected. 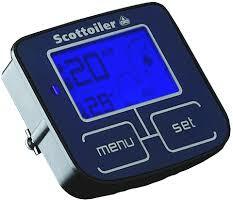 Areas not in direct contact with the elements ie tank/seat areas, electrics require treating approx once a year. Other exposed areas re-apply as necessary. You can tell the product is still ‘Active; as water will bead on contact…having no water content and not being water soluble ACF-50 only dissipates by being ‘sacrificial’ whilst stopping existing or new corrosion so just re-treat as required. Remember, ACF-50 protects jets on US aircraft carriers! If it works for these jets in these conditions, think how well it’s going to work for your bike! 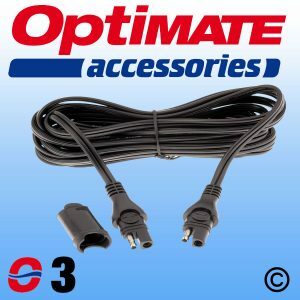 Optimate O-03 SAE Extension Lead – 1.8m.